Han-Kyun is a full professor for Collective Action, Compliance, and (private sector) Anti-Corruption in IACA. Meanwhile he acts as a Head of Research and Science (formerly Compliance and Collective Action) and Programme Director of a Siemens Integrity Initiative, also being a former a Director of International Master in Anti-Corruption Compliance and Collective Action. 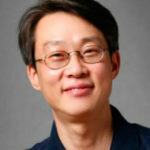 Until 2012 Han was an Associate Professor in Kookmin University, College of Business Administration (Korea). He has lead a Kookmin Institute of Business Research (KIBR). His research interests focus business ethics education; organizational ethics management system.